The post What It Takes to Be a Service Dog by Sassafras Lowrey appeared first on Dogster. Copying over entire articles infringes on copyright laws. You may not be aware of it, but all of these articles were assigned, contracted and paid for, so they aren’t considered public domain. However, we appreciate that you like the article and would love it if you continued sharing just the first paragraph of an article, then linking out to the rest of the piece on Dogster.com. Specially trained to help their individuals with disabilities to live independent lives, a service dogs assists with an array of tasks from guiding blind people across busy intersections to supporting returning combat veterans who live with the effects of PTSD. Service dogs can be self-trained (with the support of a professional dog trainer) or be specially raised and trained through a program. But what kinds of jobs do these dogs do, and what makes a good service dog? This type of service dog is trained to support people with a variety of health conditions, including diabetes, seizures and narcolepsy. Medical alert dogs support their disabled handlers by alerting prior to a medical episode, helping their handler get to a safe location before the attack, bringing medication and/or summoning help, including dialing 911 if needed. 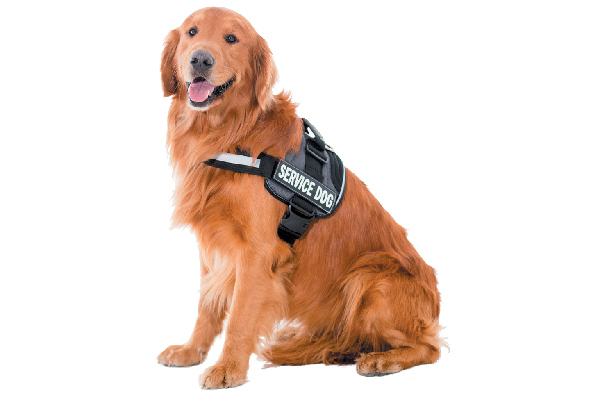 A service dog for the blind or visually impaired must be able to guide their handlers successfully. Photography ©krugli | Getty Images. NEADS World Class Service Dogs uses both purebred Labs and puppies for its program. Photography ©Canine Companions for Independence. 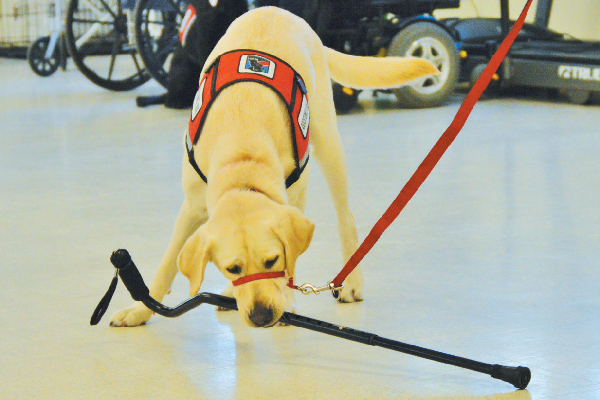 A mobility assistance service dog may help pull his person’s wheelchair. Photography ©Canine Companions for Independence ©NEADS.org. 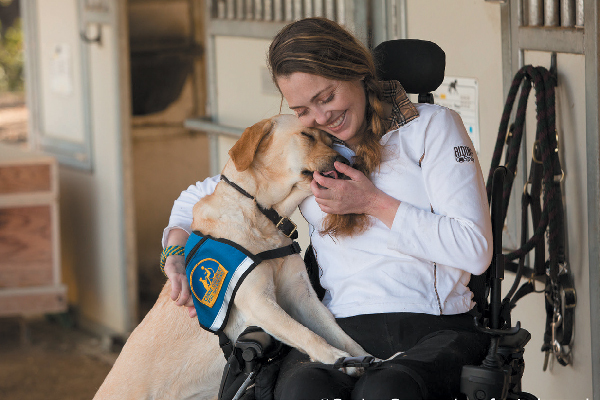 Mobility assistance service dogs help people with physical disabilities by pulling wheelchairs or providing balance bracing for people who need support while standing or walking. 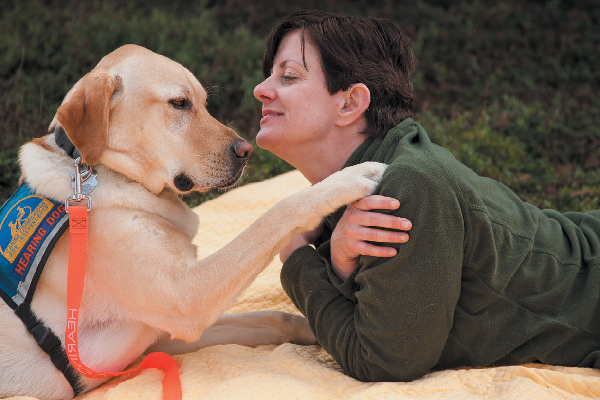 Ellen Torop, Program Manager, Northeast Region, Canine Companions for Independence says that dogs trained in their programs “know over 40 advanced commands that are useful to a person with disabilities. These dogs can open and close doors, turn lights on and off, and pick up dropped items.” Ellen says that the organization uses Lab/Golden crosses in the program because of their size, strength and eagerness to learn. 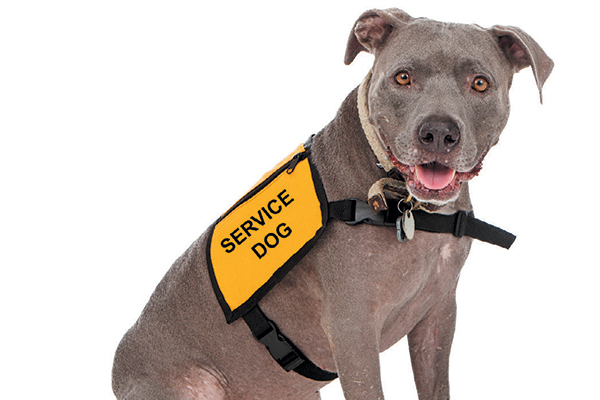 A psychiatric service dog may be any breed — and is not an emotional support dog. Photography by adogslifephoto/thinkstock. 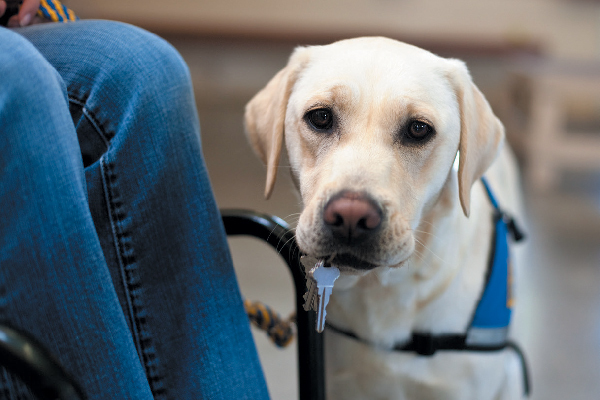 Psychiatric service dogs work with handlers who have mental health disabilities. These dogs assist people living with PTSD, such as combat veterans or civilians. Psychiatric service dogs can also be trained to assist people with obsessive compulsive disorder, autism, schizophrenia, bipolar disorder and various panic disorders. Psychiatric service dogs can be any breed or mixed breed, and various-size dogs do this work. These dogs are not emotional support dogs; they are specifically task trained to mediate their handler’s disability including: reminding handlers to take medication; interrupting obsessive, panic or dissociative episodes; or guiding a disoriented handler to a safe location. Service dogs and their access is protected by the law. Photography ©Canine Companions for Independence. Service dogs and their public access is protected federally in the United States by the Americans with Disabilities Act passed in 1990. There is no national registry of service dogs or standard test or certification process. Businesses are not allowed to discriminate against people with disabilities or demand any kind of documentation about the service dog in the United States. According to the ADA Network, they may ask if the service dog is required because of a disability if the disability is not obvious and what work or task the dog has been trained to perform. The Americans with Disabilities Act distinguishes service dogs from other dogs by training that is directly related to the owner’s disability. Emotional support dogs are not the same as service dogs. Photography ©Jupiterimages | Getty Images. Emotional support dogs provide needed comfort to their owners and must be prescribed by a mental health professional. A key difference between emotional support dogs and service dogs is that emotional support dogs are not trained to perform tasks. They are permitted in housing that is not pet friendly but do not have public access rights, so they cannot accompany their owners into public. Airlines do allow emotional support dogs, but definitely review the airline’s emotional support animal policy. Thumbnail: You can tell these Canine Companions for Independence pups in training are already heroes from the capes they wear! Photography ©Canine Companions for Independence. Sassafras Lowrey is an award-winning author and Certified Trick Dog Instructor. Sassafras lives and writes in Brooklyn with her partner and a senior Chihuahua mix, rescued Shepherd mix, Newfoundland puppy, two bossy cats and a semi-feral kitten. Learn more at sassafraslowrey.com.